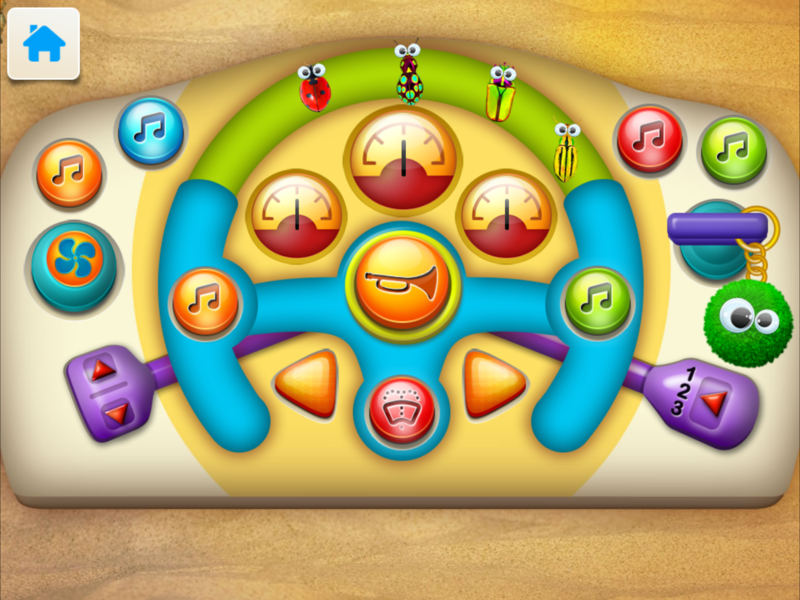 Music Steering Wheel is a amazing interactive application that will allow every child to feel like a real driver! Music Steering Wheel is an application for kids that provides every little car lover unforgettable experiences. The game amazes every little car lover. There are many fabulous, colorful elements like cockpit imitation, steering wheel with a horn, gear shift, ignition key, or directional arrows. The child, turning the steering wheel, controls the vehicle, other elements of equipment glow, play melodies and make sounds which make the game more fun. The application perfectly combines learning with play, helps in the development of visual-motor coordination, stimulates the sense of hearing and develops the dexterity of the child.